A custom map to use as a wedding poster, display or guest book alternative! Commemorate your special day with a custom piece of art you can cherish for a life time and hang proudly on your wall after the reception is over. 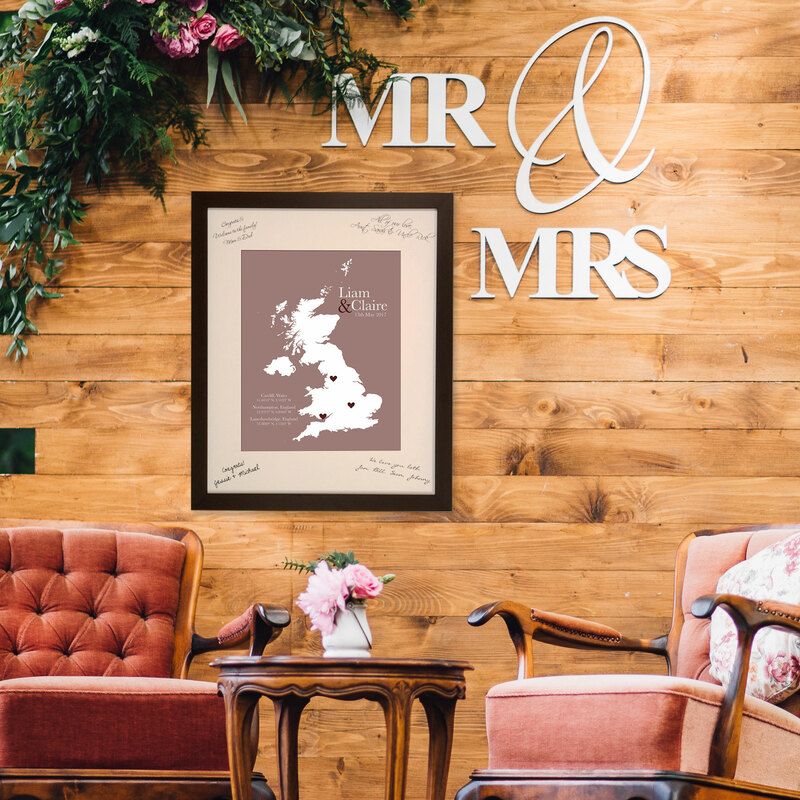 You can have a custom map designed of where you are both from, where you live, where the wedding took place and more! Add matting around the print and have your guests sign as a guest book alternative! We work with you directly to create your custom piece of art! You pick the city and state (or island, country, etc), as well as colors and text you want on your map. What a wonderful addition to your wedding decor! ★Choose ANY LOCATION IN THE WORLD★ Images are sample designs only. We can design any location you want!